Lisa M. Wilke, 46, of Sheboygan, died at her home on Wednesday, June 29, 2016. She was born on January 29, 1970 in Sheboygan to Bruce and Anita (Eldridge) Wildman. 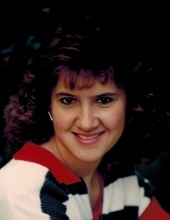 Lisa was a 1988 graduate of Oostburg High School, and she continued on with her studies at Lakeshore Technical College. Family was very important to Lisa, some of her fondest memories are of time spent with them. Going for walks, drawing, and painting are just a few of the things she enjoyed doing. Her pride and joy was her daughter Ashley. The proof is in all the photographs she took of her growing up. Lisa is survived by her parents Bruce Wildman of King and Anita (Don Lee) Happel of Kiel, her daughter Ashley (Justyn Krueger) Wilke of Random Lake, siblings; Matthew (Dolores) Wildman of Sheboygan, Mark (Yu) Wildman of Sheboygan, Luke (Sheila) Wildman of Howards Grove, John (Amy) Wildman of Oostburg, Andrew (Amy) Wildman of Sheboygan, Bobby Wildman of Sheboygan, Charmin (Joe) Sanders, of Mishicot, Linda Boos of Menomonee, and step-brother Tony (Heather) Happel of Holt, FL. She is further survived by many nieces, nephews, other relatives and friends. She was preceded in death by her two sisters Angela Wildman and Lori Wildman-Hartmann. A Celebration of Lisa’s life will be held on Wednesday, July 6, 2016 at 1:00 PM at Zion United Methodist Church N 1667 State Rd. 28 Adell, with Pastor Hap Itson officiating. Inurnment will follow in the church cemetery. In lieu of flowers a memorial fund will be established in Lisa’s name. To send flowers or a remembrance gift to the family of Lisa M. Wilke, please visit our Tribute Store. "Email Address" would like to share the life celebration of Lisa M. Wilke. Click on the "link" to go to share a favorite memory or leave a condolence message for the family.